The Chief Executive of the Science and Technology Facilities Council (STFC), Keith Mason, recently visited Astrium in Portsmouth. During the visit he had a tour of the manufacturing facilities and met with current apprentices and graduates – including Jason Stones (Media) of Lunchsat, who explained CubeSat to the visitor. 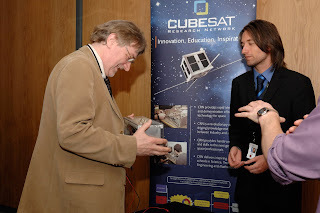 The Cubesat Research Network (CRN) is a collaboration of space industry and academia, brought together to focus on innovation for market exploitation, bringing associated technologies to market, transferring knowledge to universities in Cubesat build projects as part of educational programmes, providing schools outreach to boost a knowledge-based economy, and the provision of a 'playground for innovation' - where concepts can be tested in space as part of a Cubesat payload. The CRN represents the conversion of industry experts such as Astrium, universities, and small-to-medium enterprises (SMEs). 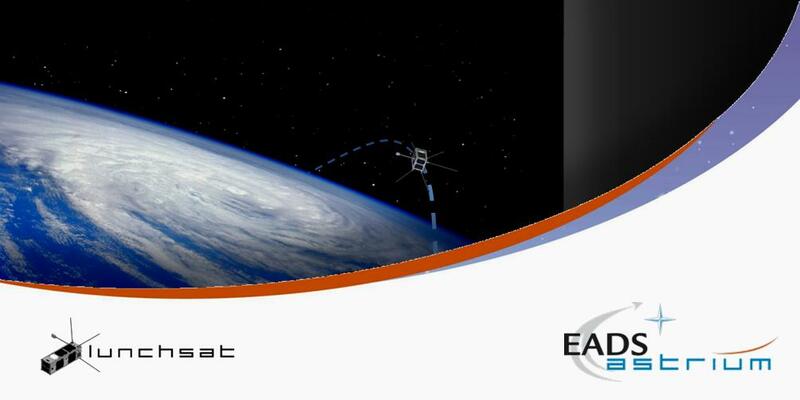 An independent, non-departmental public body of the Department for Innovation, Universities and Skills (DIUS), STFC funds around 40% of the UK civil space activities covering the mandatory science programme and exploration.